Blame it on a dull realty market or slow approvals in cities such as this one. Akshaya Tritiya, considered to be an auspicious day for buying property, is losing its sheen for realtors. Today, barring a few, not many property companies went for any launches. "The approval process has slowed so much that developers are not launching any new projects," said Vimal Shah, managing director of Hubtown, and president of the Maharashtra Chamber of Housing Industry (MCHI). "Nobody is launching according to the auspiciousness of a day. We launch according to the approvals we receive." According to the latest report by global property consultant Knight Frank, the number of launches in the National Capital Region (NCR) declined 31 per cent in the second half of FY13 against the year-ago period. Developers and consultants said even buyers have not been showing much enthusiasm in booking properties, due to high prices and the overall lacklustre economic environment. "The approval process is slower. Business is slow. That is why you are not seeing many launches now," said Paras Gundecha, past president of MCHI. Absorption of homes in the NCR declined 12 per cent in the second half of FY2013 against the year-ago period, according to Knight Frank. Sanjay Dutt, executive managing director of property consultancy Cushman & Wakefield, said: "Buyers were expecting some genuine discounts. But that has not come. People who got approvals, launched some time back. Without approvals, it is difficult to launch projects, as they have to pay penalties later." Gundecha said developers were not in a position to give discounts or freebies due to high land costs and increase in input costs. "Buyers are not taking decisions on big-ticket items such as homes as prices are high and confidence is low," Dutt added. Property consultant Jones LaSalle said between the second quarter of 2009 and the corresponding quarter of 2013, residential real estate prices in Mumbai increased 66 per cent. In Thane, the increase was higher at 70 per cent, while Navi Mumbai has seen a staggering escalation of 74 per cent. "Overall, market conditions are not good. Buyers are not spending on homes. 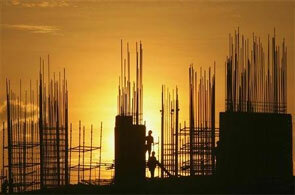 That is why developers are delaying launches," said the marketing head of a Mumbai-based developer.